I must admit that I wasn’t completely convinced by the ICE Vortex – a trike so uncompromising that I had bruises over my vertebrae after just a few hours hard riding. Sure, it was fast (for a trike), but given the type of roads I have to ride on, I couldn’t really imagine owning one. I’m happy to say that my suspicions were completely wrong. While evolutionary, ICE have made a very significant upgrade in the VTX – no less of a speed demon but one which is significantly easier to live with. I’ve also been able to take some power-based performance measurements for the first time; scroll down for details. The headline upgrade comes in the form of the new rear frame section, which employs hydroforming in an attempt to create a more compliant ride, without sacrificing drivetrain efficiency or cornering performance. The seat bracket has also been relocated to further reduce the transfer of road impacts. I deliberately took the VTX for a session on a local tarmac road which has started to fall apart, and I could hardly believe the difference – despite rattling at full speed over inch-deep cratered moonscape, I still felt pretty comfortable in the seat and the trike was easy to control. On my maiden ride with the old Vortex I had to stop every five minutes to tighten something… was this my first hint that the VTX was actually a step-change? No – I was convinced of that immediately. The ride quality of the VTX is head and shoulders above anything else I’ve tested. The whole trike feels beautifully poised, and can be flung around the road with one-handed abandon. Conducting virtual elevation tests one frosty morning (where braking is an absolute no-no) I found the tail drifting out on the sharpest corner and it was no worse than entertaining. I settled for imagining I was Steve McQueen, started pedalling hard and everything eventually straightened out! 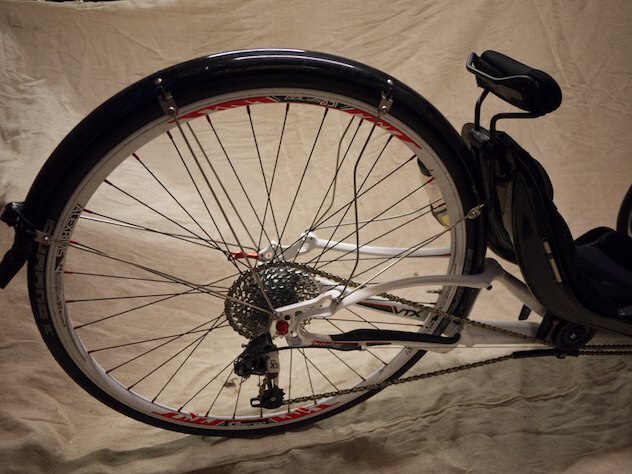 Speaking of brakes – as with all ICE trikes, brake steer is non-existent on the VTX (we live on a steep street, and I took the demo to skidding point with one hand without the slightest inclination to pull to one side). 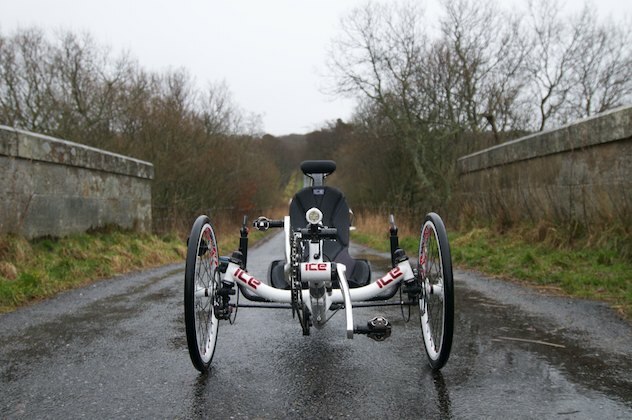 The whole trike feels incredibly refined and leaves you in no doubt that you are riding a top quality machine. I decided to take a different approach with the VTX and perform some virtual elevation testing to measure its performance. See here for an informative PDF by Robert Chung. The general idea is that if you know CdA (aero resistance) and Crr (rolling resistance), along with weight, air density and so on, physics will tell you *exactly* how fast you will be going for a given power input. If you compare this theoretical speed with actual speed and it turns out you’re going slower, the only answer is that you are going up hill (and vice-versa). A virtual elevation profile can thus be drawn up by charting these deviations in speed as changes in height. You have to do some guesswork with the CdA and rolling resistance until the virtual profile matches the real altitude profile, but then you’re done. Unfortunately, having the trike for weeks which turned out to be some of the wettest and wildest on record made it difficult to gather a compelling set of data due to wind interference (wind slows you down, which looks like you’re going uphill). Obviously, the altitude increases with each lap, but the thing giving me confidence is that the profile is exactly correct on the three sides which were sheltered from the wind. The one wind-impacted street (which connects the descent with the start of the next lap) slopes down in reality, but doesn’t slope down enough on the VE chart, due to the headwind making it slower, thus “flatter”. It’s pretty interesting stuff. I rode the laps at differing speeds, and it looks like you can see the trike scrubbing in the hardest corners (as it slows me down, it makes the elevation a little steeper than the road really is, giving some variation in the exact profiles). If I’d been thinking ahead, I would have climbed the hill several times at different power to further validate the figures, but it was just a snap decision when I happened to be there. Just to point out – the blue line above is completely synthetic based on Watts at the rear wheel and estimated Cda/Crr numbers. 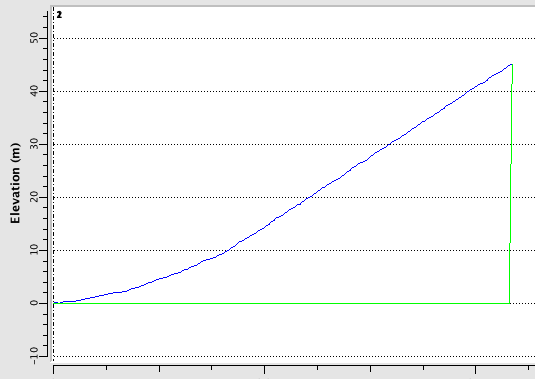 My power varied plenty on the climb, and yet the plot captures the ramp up then steady gradient which exists in real life. Neat. Knowing the ballpark CdA and Crr allows a direct comparison between the VTX and other bikes/trikes without arguing over routes and weather conditions. For a great example, refer to this post by techathy on BROL, plotting the Vortex against the Challenge Fujin and a regular time trial bike. Note the significant difference in speed at 200W and above – 4mph slower than the Fujin or DF time trial bikes (but “only” 2mph slower than the more common DF ‘hoods’ position). Much of what I wrote in the Vortex review applies equally to the VTX, so that may also be worth your time. To allow for a lower and more reclined seating position, the VTX continues the set-back seat position of the Vortex, and this can make it slightly more challenging to get into. For the vast majority of prospective owners this is just something you’ll get used to in a few minutes, but I was reminded of it repeatedly whenever someone wanted to sit on the trike and see what it felt like! It’s hardly made of paper, but a heavy enough collapse onto the seat (especially if you took the carbon option) might not be the best idea. The VTX is fitted as stock with a triple chainset (compact double on the VTX+ for the mountain goats), and although I hardly used the smallest ring, you should be aware that the 700C driving wheel is so much bigger than the 20″ drive wheel on other trikes that it makes each chainring the equivalent of the next size up. In other words, the small ring on the VTX is like the middle ring on a Sprint 20, and the middle ring on the VTX like the big ring on a Sprint 20 – so with the VTX big ring, the sky’s the limit! Below is a close-up shot of the new rear frame member. 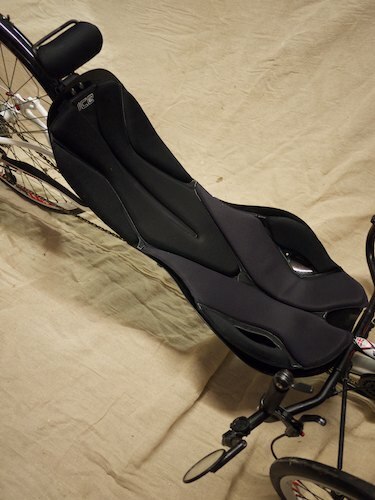 It’s fully rigid and the tubes are highly profiled and bowed to improve comfort and handling. Note the upper seat mount is just visible right up next to the power idler – nowhere near your shoulders, and the difference is really dramatic. Note the fine detailing around the dropouts, which have been extensively relieved and look fantastic. Here’s another view. You can see that this model came fitted with a rear mudguard. The month I had it prior to publication was the wettest December since records began and I doubt I would have ridden at all without it! By way of contrast, the lack of front mudguards will only get you wet if there’s a cross wind at just the wrong angle to steer the spray into your path… a compromise that seems worth making to avoid increasing the VTX’s frontal area any further. Most importantly, the seat holds you securely when corning hard and it stays comfortable even when you’re being pounded by a broken road. A great improvement. Front of house, the VTX comes equipped with the ubiquitous BB7, made razor-sharp by the tiny length of the cable run. 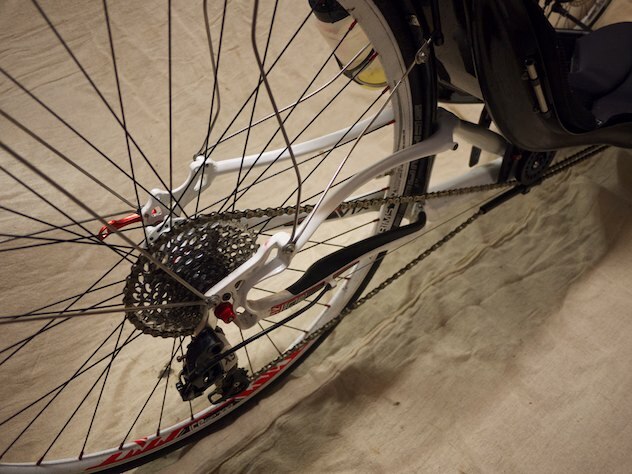 Braking one-fingered is natural… quite a revelation compared to my grimy collection of well-used winter bikes! 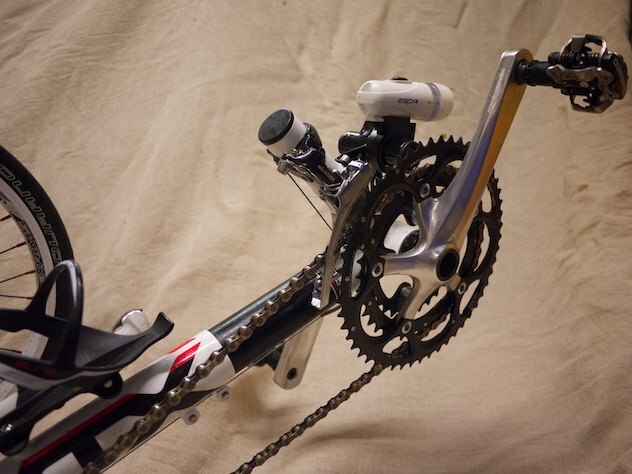 The handlebars and stem come in one piece – this makes them light and stiff, but I suppose may not suit every rider. 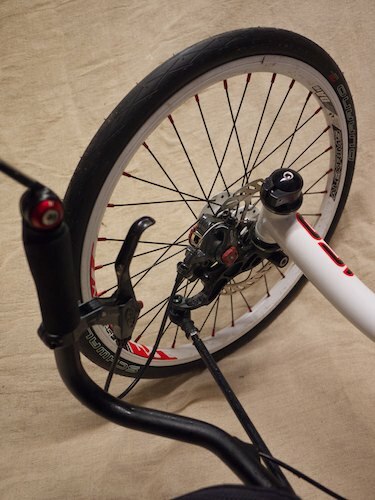 Personally, I kept rubbing the mirror t-bar extension off the tyre when cornering in tight spaces… user error? The shifters are SRAM and work crisply and flawlessly – shifting on the VTX is instant as you’d expect from anything which costs as much as this. 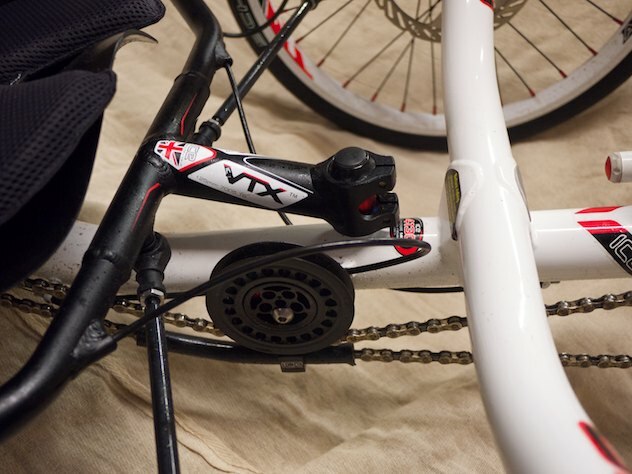 Just be aware that as with the original Vortex, adjusting the boom will throw off your front mech completely, because the gear cable runs to the boom without an outer housing. The VTX (reviewed here) doesn’t have quite the same quality of finishing kit as the VTX+, but I’d be amazed if anyone took it out for a spin and felt dissatisfied: every detail has been attended to and as a complete package this is one of the sharpest rides in town. Speed-wise the VTX is streets ahead of any other trike I’ve ridden, and should not disgrace itself in the company of two-wheelers if you normally ride strongly. That said, the inherent penalties of multi-track mean that it won’t leave any two-wheeler in the dust, either. In return you get an insanely fun machine to ride, given twice as much space by passing motorists, and everything else that’s unique about trike riding! As always, I haven’t talked about price. While it’s a fact that the VTX is significantly more expensive than some other trikes, there’s no question you are buying a quality machine. The handling is perfect, the seat very comfortable even after many hours, the complete package is light and has excellent finishing kit… it really is quite easy to recommend. ICE have little to fear when it comes to losing their crown. There’s a demo currently available at Edinburgh’s Laid-Back-Bikes, but I suspect it won’t hang around for long! Excellent review. And, sometime soon my VTX+ is going to have a mirror similar to yours! Thanks for a very informative review Dave, especially one based on Scottish conditions! I don’t think the Fuego is in any danger of being a trade-in yet – the price differential is too much – but it’s interesting to see that there’s a trike out there that could match it. The limiting factor for me might be the ergonomics though – I struggle with the lowest seat and suspension setting on the Fuego, not sure my neck could cope with being THAT laid back. It’s all important rationalisation to keep n+1 at bay! Great and very informative review .Fantastic that the UK ( while we can still call it that) can still make such world class machines. What difference do you think a front fairing and/or tail box would have made? Would its performance equal some low racers with these? 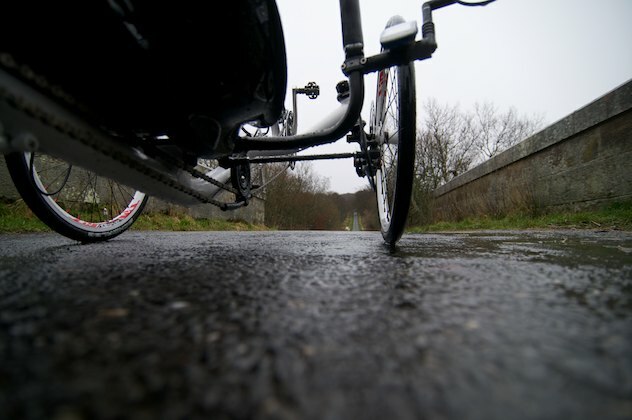 How much would a slicker aerodynamic profile overcome the disadvantage of 3 wheels rolling resistance? A comparison with that rare and expensive other British beast ,the Windcheetah Hypersport would be interesting. 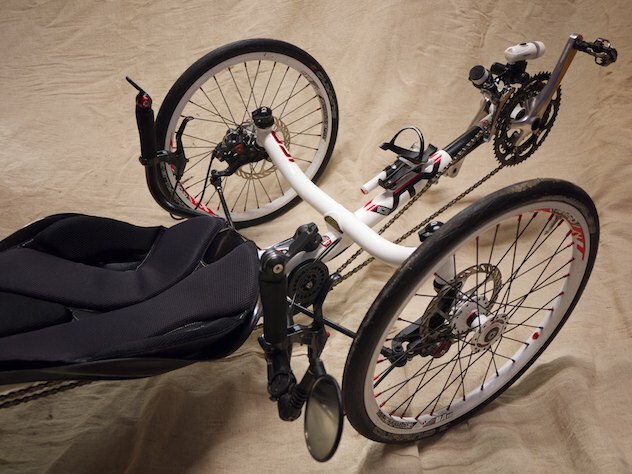 Windcheetah having a 12 cm narrower front profile (a fairing actually almost encloses the wheels)- more “tucked in” joy stick steering, front part all carbon and no boom adjustment (so stiffer? ).But seat angle less reclined .With carbon seat mounts and a Ventisit pad the ride is pretty comfortable.A tad lighter too ,I think. 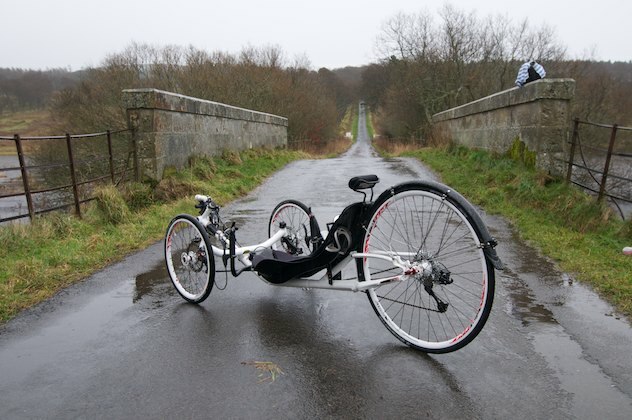 Interesting that you were testing the Vortex this time of year in our Northern land when a trike is the ideal vehicle for slippy roads ,and foul weather can be mitigated with a fairing without the balance issues strong winds might pose for a two wheel recumbent with a fairing. So good in town ,the wide berth given that you mention and no issues at traffic lights. Thanks for the review ,but no thanks for stimulating insatiable trike lust! If i sprayed the Vortex matt black ,would she notice the addition? When I rode the VTX I had in higher position – I would say though that I found the seat very comfortable and new headrest is very good. The review one has a large seat. I kept looking in my mirror to see if someone was following me but it was only the 700c rear wheel! All in all quite an achievement. I know bike dealers comments can often be ignored as potential hype. ICE have continued on their distinctive SL route and refined the VTX into something special. As far as the VTX being [i]slower[/i] than a DF time trial bike or a lightweight low racer… For the former the VTX can continue to deliver power even through sharp corners – thanks to ICE’s top class steering geometry. Low racers can of course pedal through corners but the lack of the chance of pedals striking the ground is increased by the chances of wiping out by leaning too hard and/or overpowering the back wheel. The VTX will clear roundabouts in (eg) Holyrood Park and catch up road bikes riders that think they have ‘dropped’ it. I did that on my own test ride and the VTX stuck to the road whilst the power was still on and the road bike was feathering pedal on the lean. 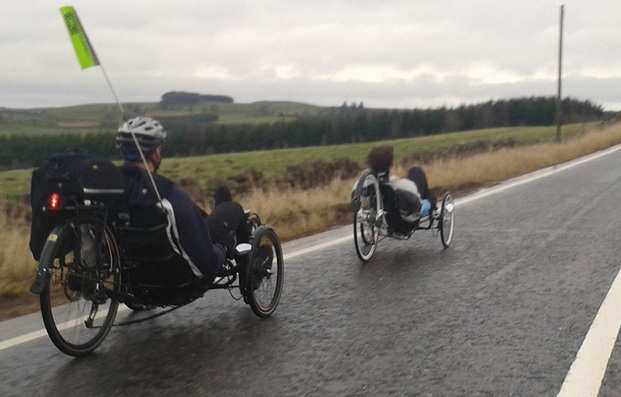 One came out of the roundabout at 15mph and the other three wheeled contender was accelerating back up to 20mph. So think low down fun with a low risk of dropping the whole show! similar weight, but with a pretty noodlish steel frame, compared to the Vortex. Graph suggests that we need 80% more Watts (240W vs. 130) to push a sports trike to 20mph compared to a fast lowracer. What ??? Thanks for a nice review. Would be really nice to see how this compares to Carbontrikes’ race model..
200W got me 21.7mph on the midracer, 18.1mph on my road bike. The numbers suggest 18.67mph for the VTX under the same conditions, which I think is in the right ballpark. With a similar seat angle but the extra width and small wheels, you wouldn’t expect the VTX to be faster than the Raptobike! Personally I think 130W on a Fujin to match 200W on a Raptobike doesn’t sound right, but I guess the beauty of actually measuring this stuff is that you get some eye openers (*or* it proves your experimental technique is bad – which is why I hedged my bets by doing the hill climb afterwards). I’d be interested to see other people do similar measurements, for sure. The comparison with a TT bike is not that useful ultimately, because they are aimed at completely different people. TT bikes mean looking at the ground, no brakes (unless you come out of position) and of course they still seem to hold most fast time trials on roads like the Edinburgh city bypass. Extreme masochists can hold a decent TT position for a 24 hour trial, but what’s 24 hours? Not even a third of PBP. Most club riders can’t hold a good position for the duration of a race, never mind long day trips out on the VTX. It looks like the VTX is faster than my riding position on an ordinary drop bar road bike (see other comment), which is quite an achievement. you are welcome to borrow the Hypersport anytime(it lives just south of Edinburgh),but only limited adjustment possible if you are not 6’2 – 3 or 4 inches or so by moving the seat along the frame. at least its black so i won’t notice the dirt! Thanks for the detailed review; I recall from your Vortex review that it wasn’t great as an everyday trike – have the changes made to the VTX changed that view? Is it that much more awkward or risky to get into the seat than the Sprint? I’m looking for a narrower lower seat angle trike (comfort and practicality, access wise) but I’m struggling to find a VTX to test. Have test ridden a Sprint RS with a mesh seat but it seems quite high. It depends what you would be doing for “everyday” riding. The VTX is quite a wet ride for instance, and of course very difficult to take more than a tiny amount of luggage (although you can add aftermarket hop-ups for luggage, you’re bringing the trike closer to the more pedestrian alternatives by loading it up IMO). On the comfort front though, I would take the VTX should I be doing a long brevet (I think I could get it around PBP…) without worrying about being ragged to death on the bumps. It’s not hard to get in and out of in the grand scheme of things. On the other hand, I think a Windcheetah review is mandatory. The VTX seems to be its only real contender thus far. Is there a Windcheetah owner willing to let Dave do a thorough test? Which is faster, the VTX or the Catrike 700? I would suggest to visit the store so you can do a test ride and buy the trike from them. They have the experience and tooling required for a good assembly, they will do a proper setup, and probably will be glad to tech you how to maintain it. 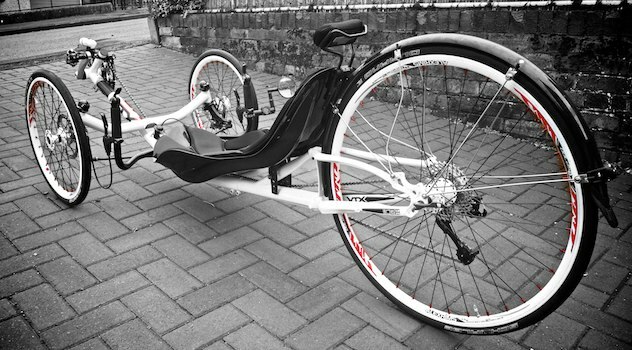 I would like you to read the following reviews of ICE trikes made by ‘bentrider online. They have been doing trike reviews during decades, and they spend months using them before publishing their impressions. I’d suggest you to take a look at their reviews of the latest ICE Sprint. 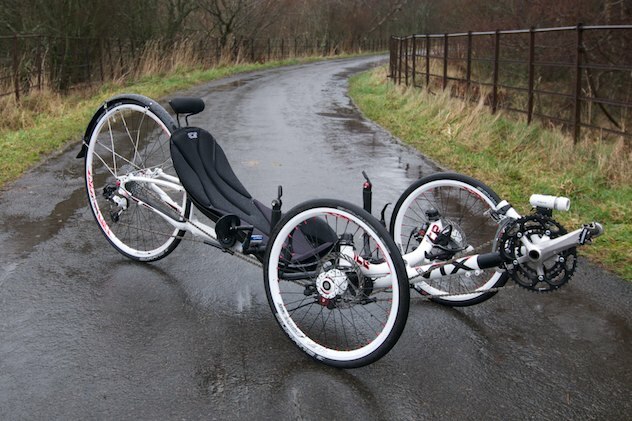 They got TWO models, one setup for as a X-specs Sport Trike and the other for long-distance Touring. The Sprint can be bought with either rear wheel suspension or fully suspended, and has a bigger cargo capability.